Credit card companies are shuffling the deck before the feds crack down. It's no doubt that a good credit history is what got Peter Meyer a low interest rate of just 4% on three MasterCards from Chase Bank back in 2003. He says he prides himself on always paying his bills on time. That's why he was taken aback when he learned the minimum payment due on his cards will now jump by more than $800 a month. Meyer, who lives on Manhattan's Upper West Side with his wife, said he used the cards mostly to pay for his son's college education. The minimum payment on all three cards combined has been about $550 a month. A couple of weeks ago, he got a notice from Chase telling him that they're hiking the minimum payment due from 2% of the balance, to 5% -- an increase of 150%. In his case, that means his minimum payments would jump from about $550 to about $1350! Turns out, he's not alone. According to Credit.com, 19% of credit card holders have seen their interest rates go up in the last couple of months. About 14% have had their credit limits lowered, and 12% have been told their minimum payments are rising. John Ulzheimer, of Credit.com, says for one thing: credit card issuers are "hemorrhaging money" and feel the need to bring in more cash. 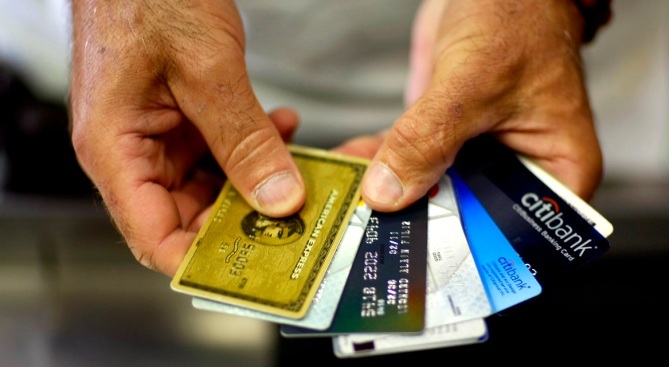 But these changes are also in advance of the Credit Cardholders Bill of Rights, which will restrict future policy changes by credit card issuers. That law won't take effect though, until February 2010. So what's a consumer to do in the meantime? You can check out Bloggers Against Chase Bank or Consumer Affairs, or look into balance transfer options from sites like Credit.com or Bankrate.com. Ulzheimers says the better your credit, the more options you might have.